Dominique Guinard (aka Dom Guinard) is the CTO (Chief Technology Officer) and also co-founder of EVRYTHNG. 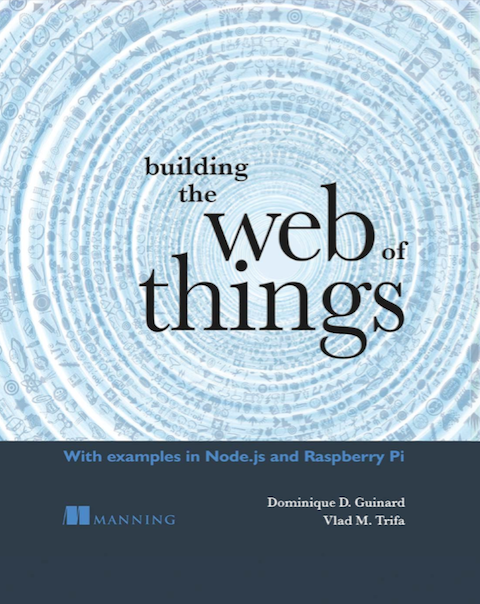 He got his Ph.D. from ETH Zurich, where he worked on laying down the foundations of the Web of Things: a world-wide network of interconnected objects (sensors, appliances, machines and tagged objects) and co-founded the International Workshop on the Web of Things (WoT). Before this, he worked on bringing industrial networks of RFID-tagged objects to the Web at the MIT Auto-ID Labs in USA. He also worked 4 years for SAP on the software aspects of the next generation platform for integrating real-world services with business systems. Dominique was a researcher at the Auto-ID Labs Zurich, working on mobile interactions with the Internet of Things (IoT) for Nokia. Before this, he worked on scalable IoT and RFID software architectures for Sun Microsystems. He holds an MSc in Computer Science and a BSc in Computer Science and Management from the Universities of Fribourg and Bern with a specialization in mobile and ubiquitous computing at Lancaster University, UK. Together with Vlad, Dominique was listed 5th amongst the top 100 IoT thinkers by Postscapes in 2011. 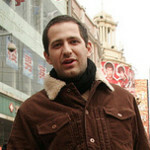 Early in 2012, his Ph.D. research was granted the ETH Medal. Vlad Trifa is co-founder of EVRYTHNG a new internet software company providing online profiles, or Active Digital Identities™, for any physical object. In 2011 he completed his PhD at the Institute for Pervasive Computing at ETH Zurich working on the Web of Things and real-time data sharing, collection, and processing using Web technologies. In 2010, he spent half a year as a visiting researcher at MIT SENSEable City Lab in Boston and Singapore where he worked in smart cities and new approaches to urban planning based on the Web of Things. From 2007-2010 he was a research associate with SAP Research in Zurich where he explored the integration of sensors and machine systems into business applications for logistics and manufacturing. Prior to that, Vlad was working in bio-acoustics at the Center of Embedded Networked Sensing (CENS) at UCLA (2005-2006), and in multimodal human-robot interaction at the Humanoid Robotics and Computational Neuroscience Laboratories, at the ATR Research Center near Kyoto, Japan (2006-2007). Vlad graduated with an M.Sc. 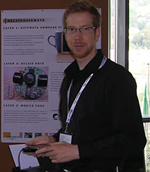 in Computer Science from École Polytechnique Fédérale de Lausanne (EPFL) in 2006 with a concentration in distributed systems, bio-inspired robotics, and artificial intelligence. Don’t hesitate to contact us if you’d like to participate. Would be helpful if you could also send some references or previous posts on different blogs.